One good spin-off deserves another. I will post a TV Western show that was a spin-off of another TV Western show. Let's see how well you know where some of these westerns came from. After we guess the answers, I will put some video in about that show for everyone to enjoy. Okay, lets just see how good you are? PJH:4116 wrote: This TV Western was a spin-off of an hour long series that broadcast from 1957-1962. The original series broke new ground by creating stories that were often humorous and lighthearted and leading men who were less than honest and sometimes downright shady. The 60 minute spin-off was only on TV for a year---1981-82. 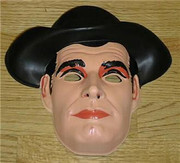 It featured one of the main characters from the original series with the same actor playing the role. This time around the hero was not roaming the west going from one saloon to the next, but had settled down to ranching and running his own saloon. One of the ads for the spin-off used the expression “20 years older and 40 years wiser” to describe the character. The actor of this spin-off was nominated for both an Emmy and a Golden Globe for this role. As a tribute to the character featured in both the original series and the spin-off, a ten-foot bronze statue of the actor as the character was unveiled in the actor’s hometown of Norman, Oklahoma in 2006.
Who can answer this two part question? What was the name of the spin-off and who was the actor who starred in the show? Dianna:4128 wrote: Well PJ, I don't know if this is it, but it sure sounds like one of my favs that I watch every Saturday. In fact it's on right now. Could it be Bret Maverick with James Garner? And also Ed Bruce is in it.And I believe Ed Bruce sings the theme.Sure sounds like him. "Maverick didn't come here to lose." PJH:4188 wrote: It takes a little while for the photos to load (I even compressed them), but I think you will enjoy them. Congratulations Dianna, you correctly guessed that Bret Maverick starring James Garner is TV Western Spin-off #12. Likeable and handsome James Garner has achieved great success in both films and television, often playing variations of the charming con man persona he first developed in the original Maverick. Only 18 episodes of the series were filmed; they were broadcast from December 1981 – August 1982. This western comedy was an hour in length and was on NBC. In the role that first made him famous, James Garner plays Bret Maverick, now less adventuresome (20 years older and 40 years wiser) and tired of roaming from town to town looking for a poker game. He has settled in Sweetwater, AZ after winning a ranch (the Lazy Ace), a saloon (The Red Ox), and $50,000 in a poker game. A great supporting cast includes country western singer Ed Bruce (Tom Guthrie) as the ex-sheriff and now Maverick’s partner. Stuart Margolin (Philo Sandine) , who appeared with Garner in the Rockford Files, plays a self-proclaimed Indian scout and small-time con man. Darleen Carr (Mary Lou Springer) is a feisty newspaper photographer who is always dragging Maverick into trouble. Throughout the series short run, various characters show up in Sweetwater wanting to either play cards with, meet, or just plain shoot Bret. It seems he has become quite famous, or maybe notorious, over the years,. For example, in The Not So Magnificent Six a newspaper owner/writer hires six gunslingers to kill Maverick so he can write up the incident and sell it to the major magazines back East!. The Bret Maverick theme song is performed by Ed Bruce and thre is a version out there that includes James Garner (with Garner speaking his words, rather than singing). 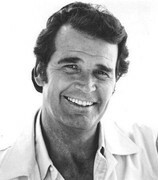 James Garner was nominated for both an Emmy and a Golden Globe Award for his role in Bret Maverick. Although the ratings were respectable and James Garner was well-received in the role, Bret Maverick was cancelled after one season; Garner always attributed the lack of top ratings to poorly written scripts. Jack Kelly had been slated to return as Bret’s brother, Bart, in the second season and briefly appeared at the very end of the first season. A number of scripts for the second season had been written that included Kelly. Garner had also brought in Roy Huggins, the original creator of the Maverick character, to help salvage the series---but sadly, it was not meant to be. Bret Maverick was rerun in the summer of 1988 to help provide “new” programming during a writers’ strike and in the summer of 1994 to play off the publicity surrounding the Mel Gibson Maverick movie. The two hour first episode was edited and repackaged as a TV movie under the title Bret Maverick: The Lazy Ace. The series only two-part episode was also repackaged as the movie Bret Maverick: Faith, Hope, and Clarity. The youngest of three children, James Garner was born James Scott Bumgarner in Norman, OK in 1928. Leaving an unhappy home situation, (violent stepmother) at 14, Garner took odd jobs and then, at 16, joined the Merchant Marines. At 17 he joined his father (now divorced) in Las Angeles where he completed high school. He started modeling at the urging of one of a teacher, but then spent 14 months in the Army during the Korean War where he was wounded and awarded the Purple Heart. In 1954, Garner began appearing in Broadway productions (thanks to the help of a former classmate) which led to work in television commercials. His big break came in 1956-57 when an appearance in Cheyenne led to the Maverick, which made him a household name. After Maverick, Garner appeared in several highly regarded movies—Darby’s Raiders, The Great Escape, The Americanization of Emily, Move Over, Darling, etc. In 1971 Garner returned to television in the offbeat western, Nichols. The series lasted one year and in an interview, Garner claims he had the character killed off in the last episode so that a sequel could never be filmed! In 1974 Garner appeared as private investigator, Jim Rockford, in The Rockford Files. Running for six seasons, Garner won an Emmy Award for Best Actor in 1977. Garner ultimately ended the run of the show, despite consistently high ratings, because of the high physical toll on his body and injuries to his knees. During the 1980s and 90s James Garner appeared in a number of movies. He was nominated for an Oscar for Best Actor in the Murphy’s Romance, opposite Sally Field. Other movies included Maverick, My Fellow Americans, Space Cowboys, and The Notebook. Garner also filmed many made for television movies and joined the TV cast of 8 Simple Rules for Dating My Daughter after the death of John Ritter. James Garner was inducted into the Western Performers hall of Fame at the National Cowboy and Western Heritage Museum. He was also presented with the Golden Boot Award in 1999. 1.Garner married his wife Lois in 1956 after knowing her for only 14 days. "We went to dinner every night for 14 nights. I was just absolutely nuts about her. I spent $77 on our honeymoon, and it about broke me." They have two daughters, Kimberly and Greta and have been married for over 50 years. 2. James Garner’s first commercial was for Winston cigarettes. He was the person who made the grammatical mistake in the famous slogan---Winston tastes good like a cigarette should” (should be "as a cigarette should"). Later this became part of an ad campaign in which the word “like” had a big X on it with the word “as” inserted. 3.When actor Morgan Freeman won an award that Garner had also been nominated for, Freeman led the audience in a sing-along of the original Maverick theme song. 4. Garner was the owner of the American International Racers auto racing team from 1967-1969. His celebrity status raised the public’s interest in off-road motor sports events. 5. James Garner appeared in a series of highly successful Polaroid commercials with actress Mariette Hartley. 6. Of all his films, The Americanization of Emily (1964) is his favorite. 8. Garner is involved in many charities, including Save the Children. Bret Maverick is currently being broadcast on Encore Westerns every Saturday morning. The 18 episodes have just started over, so if you haven’t seen the show, take a look. For those of you familiar with this program, what are your thoughts? I’ve always been a huge James Garner fan since age 7 when the original Maverick began. I just love his self-deprecating humor. Although he often plays the con-man with a heart of gold, it is a role that suits him perfectly and that no one does better. PJH:4190 wrote: It does take a few minutes for the photos to load. PJH:4191 wrote: It does take a minute or so for the photos to load. The American Archive of Television is a wonderful site for in-depth interviews with actors who have left their mark on that medium. Here are the links to a great three hour interview with James Garner. Dianna:4195 wrote: Like you PJ, I'm a huge fan, too. This is great, Thank you. cowgirl:4203 wrote: This is really great! So much interesting/great stuff in here. I love this song to this, it has the catchiest tune! Of Course Maverick has always been one of my favorites!